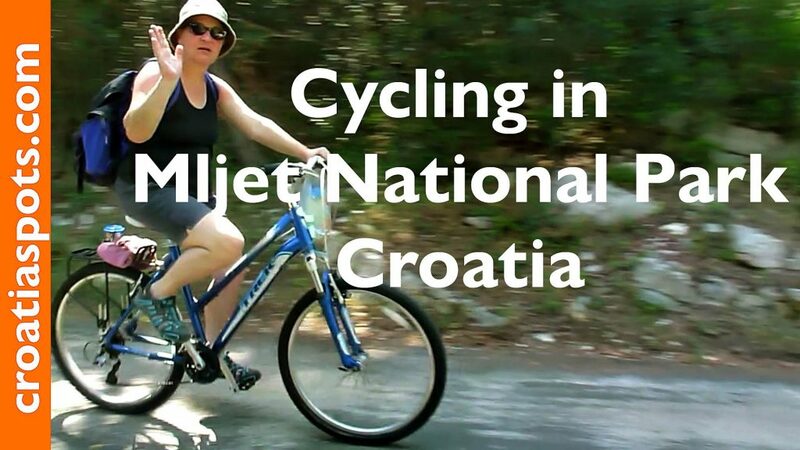 Cycling across the Mljet island is something you can consider if you are experienced cyclist and if you intend to bring your bicycle with you on the island. The total length of the road that crosses the whole island is about 43 km, with highest peak 513 m. The best time of the year to cycle across is obviously at the times when you can avoid the high summer and midday heat. If you are here in July & August, the best option is to start to cycle early in the morning to reach your destination before 9 am. 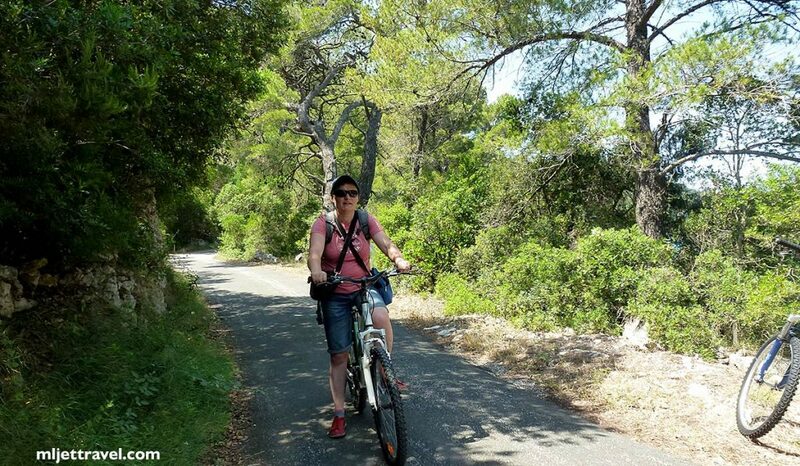 There are no cycling lanes on the main road that is crossing the island, however, the roads are rarely very busy out of the July & August season. 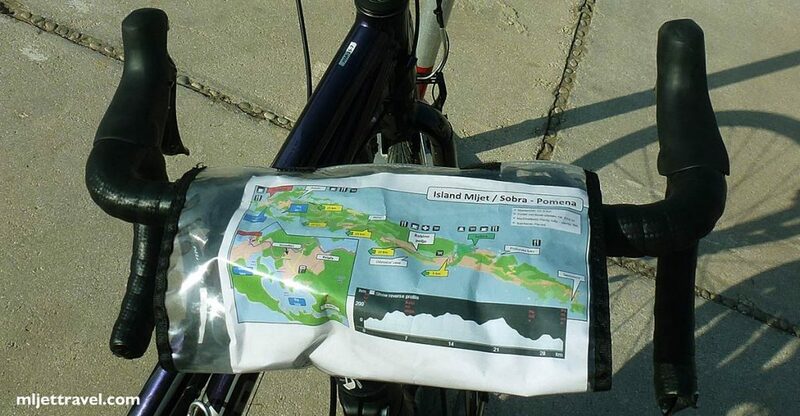 Most of the people who come to cycle on the island actually cycle within the National Park area. Cycling here is easy as all lanes are traffic free dedicated just to cyclist and pedestrians. Cycling in the Park is really pleasurable. Lovely and quiet cycle lanes, leading along the edged of the lakes. If you are here in the swimming season, take your swimming and snorkelling equipment with you and stop anywhere you like for swim or short dip to cool down. That’s exactly what I do too. The orientation is easy, there is plenty of direction signs so it is almost impossible to get lost. To be on the safe side, you can also take this map, upload it to your smartphone and refer to it any time you wish. The full circle around the Large Lake is about 9 kilometres. It is a mostly flat area with a minimum elevation and fairly easy to cycle. You will cross two small bridges. On several places along the lane, there will be some refreshment available although I always take plenty of water with me. I usually stop right across the Sveta Marija islet and wave the flag to alert the skipper from the islet to come and pick me up to visit the islet and its cafe/restaurant where I usually have a short break with some refreshment or lunch. I also stop on at least one other point along the lane for short swim and rest, completing my circle again on Mali Most where I return the bike. Allowing about 4 hours to complete the whole circle is what I usually do, however, you can make it as long or short as you wish. Getting to National Park by bicycle is doable all year round. 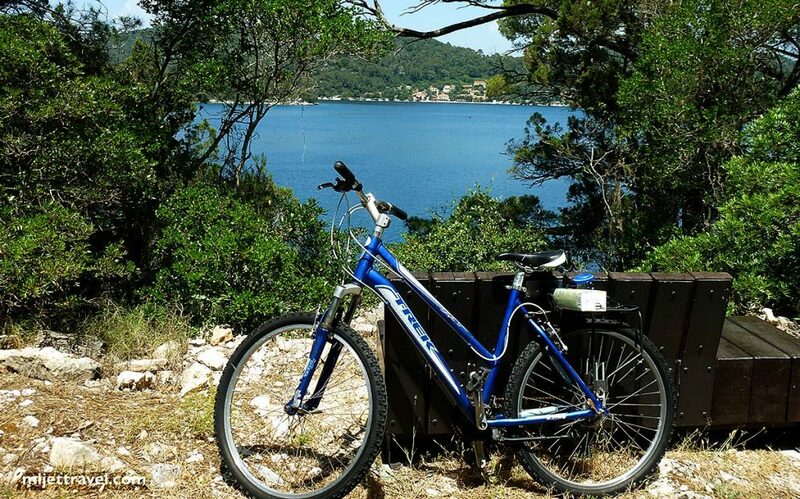 You can either use car ferry that goes from Prapratno to Sobra or to get your bicycle on one of the fast ferries from Split, Hvar, Makarska, Korcula, Sipan or Dubrovnik. On the above photo, you can see two bikes in Pomena port waiting to be embarked on Kilo Star fast ferry. 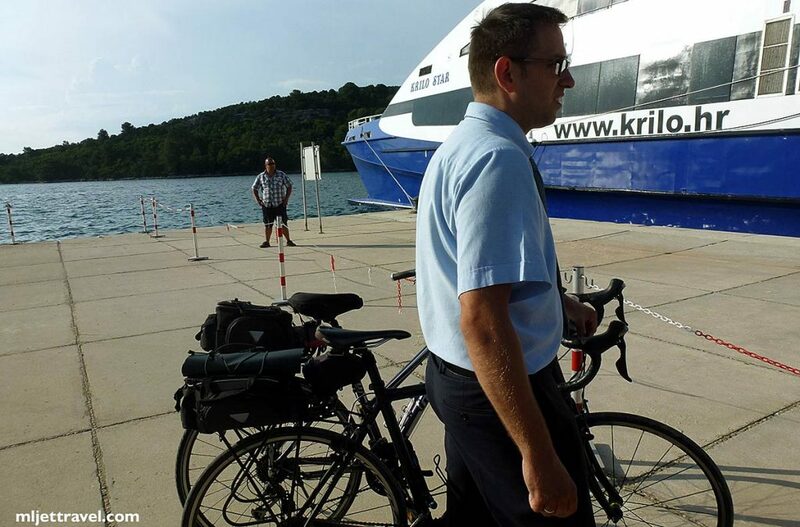 Check croatiaferries.com site for detailed info which ferry do and doesn’t take bicycles onboard. Note that you will need to pay a ticket for your bike too.